The Maze Runner trilogy was one of the best book series I've read since the Hunger Games, but unlike the Hunger games, the transition to the big screen has not been an easy one. The first film in the series, was nothing like the book, as it completely failed to demonstrate the comradery among the boys, as well as eliminating key elements from the story. Apparently, I wasn't the only one who noticed this, as The Scorch Trials made sure the same mistakes didn't happen twice. Of course the same elements that were ignored in the first film had to still be excluded for the sake of continuity, but the rest of the film was dead on. In the second film, the boys learn that their rescue was only short lived, as they are still under the control of Wicked, and are about to face their second test. The group is to be dropped into the most unforgiving part of the earth, a place where the disease runs rampant, and cranks are everywhere, the Scorch. 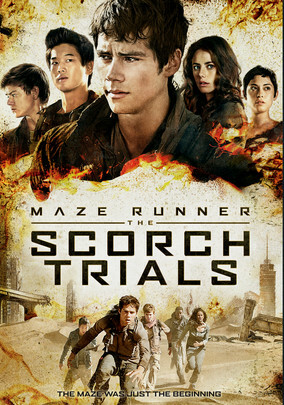 If they can survive the Scorch, the boys will have a better idea of what they are up against, and Wicked may just be able to get what they need from them to finally find a cure, that is if they make it to the end. Unlike the first film, Dylan O'Brian finally embraces the leadership role that Thomas is supposed to play in the series, and gives the film the hero to root for that it was sorely lacking. The additions of Jacob Lofland and Rosa Salazar further move the story along, as the film starts to pursue the side angles much in a way the novels did, something the first film also ignored. The narrow focus of the first film, combined with it's rushed nature, and missing elements, made it seem like a cliff notes version of otherwise terrific novel. The sequel however takes the time to properly tell the story, explore the angles, and was much closer to the original story. If you're not a reader and you were turned off by the first film, I don't blame you, but give the sequel a chance, it's a much more accurate depiction of the story.